The Topas is a fixed station monitor and is housed in a small, lockable unit which can be wall mounted in a convenient location on site. Topas stands for Turnkey Optical Particle Analysis System. Designed to continuously record environmental TSP, PM10, PM2.5 and PM1 particles, it offers a comprehensive testing and monitoring solution for construction sites, manufacturing sites and industrial operations, as well as local authorities and other organisations. 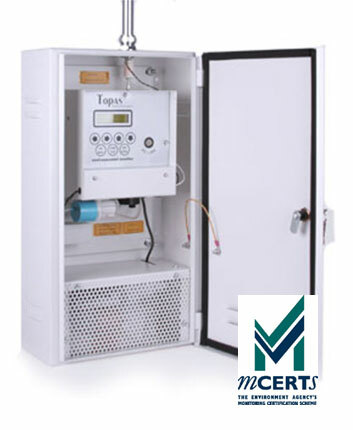 The Topas has been Environment Agency MCERTS certified so users are guaranteed reliable and accurate recording of PM10 data. It is straightforward to use, can be easily wall mounted, and all controls and displays are located behind the lockable door. One fixed Topas station monitor can be used in a specific location. 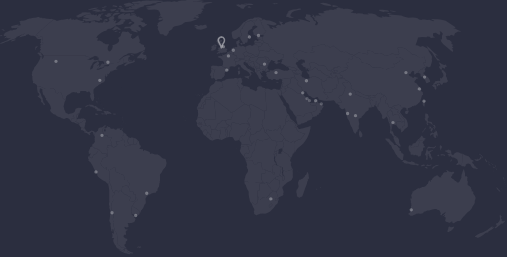 Or multiple sites can be networked together to provide a complete monitoring system, to measure and record data for an entire organisation with different locations or a wider geographical area. Different locations can be connected by radio, telephone, internet connection or fixed wiring, and for remote locations radio or GSM modems. The Topas, along with our other airborne particle monitors, works using Turnkey’s specially developed nephelometer. Air samples are continuously drawn through the nephelometer which analyses individual particles as they pass through a laser beam. The particles are then collected on the reference filter. The nephelometer’s microprocessor has the capacity to analyse individual particles even if there are millions of particles per litre. The Topas can be used with our AirQ software. Designed in-house by the experts at Turnkey, the software is user friendly and ideal for managing and displaying results. Data and results can then be easily reported and collated using AirQ, and graphs and tables can be exported to Excel for further analysis and reporting purposes. When used with a Turnkey Web Server, the Osiris may be used with our AirQWeb online interface. Data is collected from the instrument, and AirQWeb provides a free, user-friendly platform for accessing, reviewing, and storing your data. It enables users to generate graphs and reports, which can be converted to Excel or PDF documents for further reporting and analysis. Additionally, we have developed the AirQApp for Android and Apple mobile devices, enabling users to access data on the go. With the app, users can generate 3D graphs, start and stop sampling, change the configuration of the sensors, and generate reports. The Topas is a versatile monitor. In addition to the facility to network stations, the Topas can be used with other detectors such as gas sensors, rainfall gauges, traffic counters and sound meters.